The awards are starting to stack up for Dallas Cowboys rookie Leighton Vander Esch. Now among the league leaders in tackles and with two interceptions in November, the linebacker was just named the NFL Defensive Rookie of the Month. On the offensive side, Cleveland Browns quarterback Baker Mayfield was also awarded. Both Mayfield and Vander Esch were first-round picks in this year's NFL Draft. 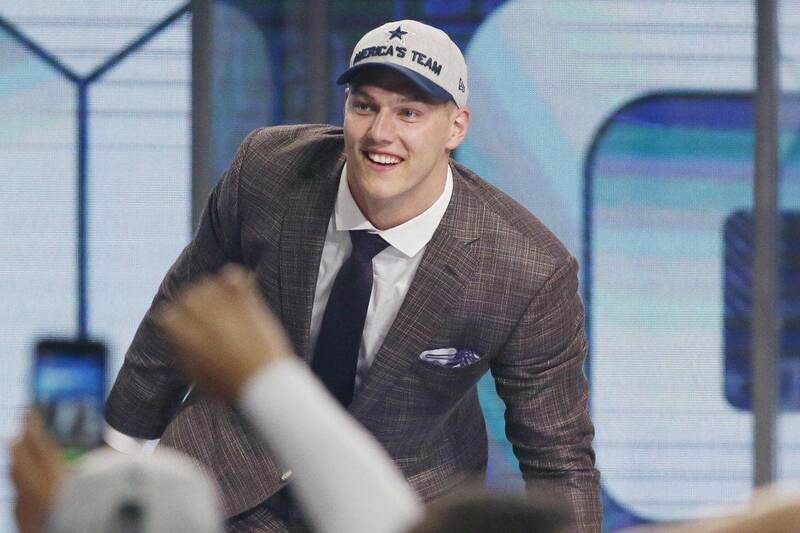 The Cowboys' selection of Vander Esch was criticized by many. Some felt he was too raw to contribute to the team right away, and others felt the team had bigger needs at wide receiver, safety, or other positions. But with Sean Lee predictably missing games this year, Leighton became a necessity quickly. The Boise State product hasn't disappointed, improving every week and now making impact plays routinely. Inside The Star joins the rest of Cowboys Nation in congratulating Leighton Vander Esch on his award, and we look forward to many more to come!